Progress report of Investigation& laboratory Department, General Prosecution Directorate, Primary court and Appeal court of Counter Narcotics Justice Centre. A total of 93 suspects, including 1 woman are detained in the connection to 61 cases of crime intoxicating and drugs during the month of December 22. 2018 to January 22.2019 and the mentioned number of suspects are convicted and put into prison by the both primary court and Appeal court of counter narcotics justice Centre from one year and six month up to 17 years sentenced. Among the convicts 33 of them in the link to 17 cases from one year and six month up to 17 years put into prison by the primary court and also 60 suspects including one woman are put into prison by the appeal court of counter narcotics justice Centre in the link to 44 cases. These people are detained by the intelligence and security organ in the link to the trafficking of more than 307 kg of drug heroin type, more than 68 kg of morphine, more than 2121 kg of opium, more than 982 kg of hashish, more than 3 kg of Methamphetamine, 350 liter of alcoholic drunk , 700 liter of acetic anhydride , 17028 liter of liquid chemical and 10 gram tablet k are arrested from different part of the country and their cases are dispatched to counter narcotics justice Centre for further investigation. Of the detainees, 12 of them wanted to transfer heroin narcotic drugs to India and Saudi Arabia using embedded techniques in their travel bags and embroidered dresses, and from the international airport of Hamid Karzai. Police and Prosecutors of CNJC identified and arrested them. Based on proposal of Prosecutor General's Office and Primary Court ordered the number of 23 vehicles, 1 motorcycle, 2 weapons and 109 various cell phones taken from the smugglers are discovered and seized also the amount of (4217773) Afghani and ( 3550) U.S. Dollar has been taken from smugglers delivered to definite DAB Account (Da Afghanistan Bank). On the other hand during this time after the decision of Appeal of Counter Narcotics Justice Centre the decision of 49 cases issued by Supreme Court’s public security bureau of Islamic Republic of Afghanistan. 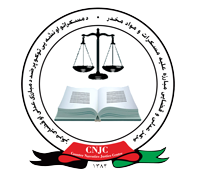 Based on last changes to the penalty code of Counter Narcotics, accordance with Articles 16 and 17 of the Law, fight against alcohol and drugs jurisdiction CNJC has the authority of interrogation or (handling) at least 1 kilogram of heroin, 10 kilogram of opium, 50 kilogram of hashish, and 200 liter of alcoholic drink , 1 kilogram of Morphine, 10 gram of intoxicating synthetic substance, 5 liter acid of acetic anhydride, intoxicants, and those who committed more than 50 acres of narcotic substance will be punished base on the law , the mentioned substances are from all over the country. It’s worth mentioning that during the month of Nov- December 2018 the number of 26 suspects in the link to 21 cases of drug trafficking crimes are convicted by the primary court from one year and six month up to 20 years sentenced, and also from the appeal court of counter narcotics justice Centre 43 suspects in the link to 34 cases are convicted and punished.